Can I Get Workers’ Comp For A Lunchtime Injury? When one is on the job, especially if that job is high-risk, it is important to always be on guard. This includes times when you are not actively working, such as breaks or lunchtime. Accidents can happen anytime, and depending on the situation, workers’ compensation may or may not cover your injuries. It is imperative to have your facts straight before you attempt to file a workers’ compensation claim against your employer. 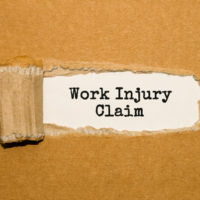 Florida’s workers’ compensation statutes explicitly state that an injury is compensable if it occurs due to work performed “in the course and scope of employment.” While much ink has been spilled defining exactly what that means, there are certain goalposts which have been clarified by court rulings and modifications to the statute – namely, that geographic location plays a major role in determining whether an accident is compensable or not, though there are always exceptions to the rule. The rationale behind this is that with some exceptions, an employee is far less likely to be acting within the scope of their employment if they are not on their employer’s premises. (If one is employed as, for example, a delivery driver, the scope of employment may be wider because that person’s duties would take them off their employer’s premises.) Thus, if an employee leaves the premises for lunch, and is injured in an accident off the premises, it is less likely that such an accident would be compensable under workers’ compensation law than if the accident occurred at their workplace. There is one caveat to keep in mind regarding the geographical test for scope of employment. Florida law has recognized some instances under what has been called the “personal comfort doctrine,” meaning that workers are entitled to certain short breaks, because it makes them better and more productive workers, and if an accident occurs on any such break, it is more likely to be compensable even if it happens when the person is not strictly on the job. If a personal break takes an unreasonably long amount of time, compensability may waver, but brief interludes are still usually held to qualify as being on the job. The relevant case for this doctrine is Holly Hill Fruit Products, Inc. v Krider (1985). Mr. Krider walked across the road from his place of employment to purchase cigarettes, an errand that normally took very little time. On his way across the road, he was struck by a car, and filed for workers’ compensation. The claim was denied, and Krider sued. The court cited an earlier case in stating that “[a]n employer-condoned off-premises refreshment break of insubstantial duration” is not generally seen as anything consequential enough to take an employee out of the scope of employment. In other words, if an employee is injured during a routine break lasting very little time, they are still within the scope of their employment because the break is a normal part of routine. It can feel awkward or embarrassing if you meet with an accident during your lunch break or while using the restroom. However, this does not mean you are not entitled to workers’ compensation nonetheless. If you encounter issues surrounding an accident of this type, calling an Orlando workers’ compensation lawyer can help move the matter along. The Hornsby Law Group has handled several cases of this type and is happy to try and help you with yours. Call the office today to set up an appointment.